Nigel Bleach is a consultant ENT Surgeon at Heatherwood & Wexham Park Hospital and a visiting Lecturer, University of Reading (School of Psychology & Clinical Language Sciences) where he teaches and examines the speech and language therapy students.Nigel graduated from the University of Birmingham Medical School in 1981. After basic surgical training in A&E, ENT, plastic surgery and neurosurgery he had his higher ENT surgical training at Charing Cross Hospital in London. He spent one year as a visiting lecturer in ENT surgery at The Chinese University of Hong Kong & Prince of Wales Hospital, Shatin under the supervision of Prof Andrew van Hasselt. During this time he planned & co-edited a multi-author operative ENT surgery textbook – “Operative Otorhinolaryngology” published by Blackwell Science. 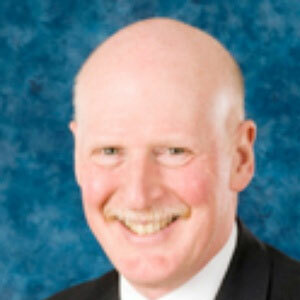 He was appointed ENT Consultant in 1995 & has developed a practise based mainly in rhinology. His particular interests within ENT are in cosmetic and functional rhinoplasty (nose jobs), sinus surgery and voice disorders. Nigel Bleach is the clinical director of patient quality and safety issues for the division of surgery at Wexham Park Hospital. He is also the Oxford regional specialty adviser in ENT and the chairman of regional specialty training committee. He is on the council of the British Rhinological Society and is a member of the European Academy of Facial Plastic Surgeons. Nigel is an examiner for the final fellowship in ENT for the Royal College of Surgeons. He has published numerous ENT articles in various medical journals. Nigel is married with 2 children. Outside of medicine he is a wine expert and Tottenham supporter.